Fresh off their retirement announcement, Canadian pairs skaters Meagan Duhamel and Eric Radford joined host Nick McCarvel to talk about which of their two medals from PyeongChang means more to them, what kept them going after a disappointing 2016-17 season and what their plans are for the future. Making his record-tying third appearance on the podcast, Adam Rippon talks about what kind of preparation goes into his 'Dancing with the Stars' performances, looks back at his Olympic experience and gushes about getting to skate with many of his closest friends on the 'Stars on Ice' tour. World junior bronze medalist Matteo Rizzo tells host Jackie Wong how he was able to make it through his seemingly endless season and what it was like competing at his first Olympics. Then, Canadian pairs skaters Kirsten Moore-Towers and Michael Marinaro talk about how they first got together, dealing with expectations placed on them and the struggles Kirsten went through after suffering a concussion in the summer of 2016. Ice Talk host Jackie Wong and icenetwork contributor Lynn Rutherford take a look back at the 2018 World Figure Skating Championships, delving into the topsy-turvy men's free skate, the ascension of Kaetlyn Osmond to the top of the ladies podium and the incredible triumph of Aliona Savchenko and Bruno Massot. Olympic silver medalist and NBC analyst Ben Agosto joins host Jackie Wong to help preview the men's and ice dance competitions at the 2018 World Figure Skating Championships. Then, pairs skaters Tarah Kayne and Danny O'Shea talk about the thrill of winning their U.S. title in 2016, how they managed to get through their difficult 2016-17 season and Tarah's slow road to recovery from knee surgery. Ice Talk host Jackie Wong and icenetwork analyst Brooke Castile tell listeners what to look for in the ladies and pairs competitions at the 2018 World Figure Skating Championships. Then, Canadian skater Kaetlyn Osmond joins the podcast to talk about what was different about her experience in PyeongChang than in Sochi and how she overcame a serious leg injury to ultimately make the Olympic podium. In a bonus mini-episode of Ice Talk, host Jackie Wong and icenetwork analyst Brooke Castile look back at what was arguably the signature moment of the figure skating competition at the 2018 Olympic Winter Games: the free skate of Aliona Savchenko and Bruno Massot. 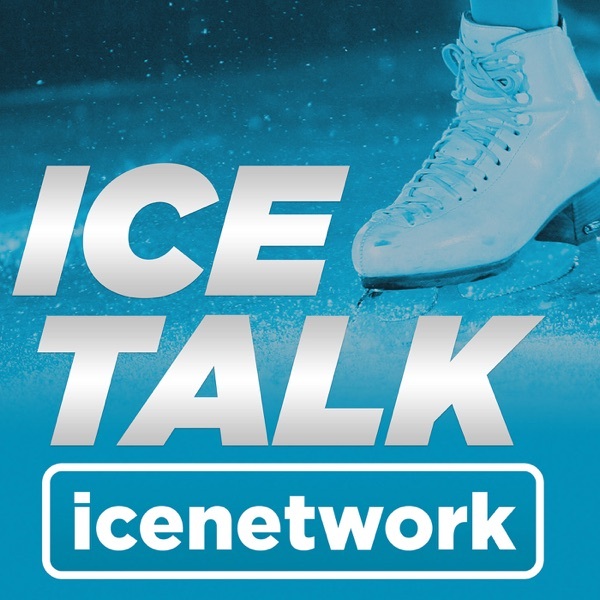 Ice Talk co-hosts Nick McCarvel and Jackie Wong speculate on what the future may hold for several of the main players from the 2018 Olympic Winter Games, including Adam Rippon, Yuzuru Hanyu and Evgenia Medvedeva. Then, Andrea Joyce joins the podcast to share some of her fondest memories from PyeongChang and talk about her experience covering the Olympics as a sideline reporter for NBC. Ice Talk co-hosts Nick McCarvel and Jackie Wong take a look back at the career-defining performances, unforgettable moments and breakout stars from the 2018 Olympic Winter Games in PyeongChang, South Korea. In our fourth and final Olympic preview episode, figure skating journalist Lynn Rutherford joins host Jackie Wong to help break down the ladies competition at the 2018 Olympic Winter Games in PyeongChang, South Korea. In the third of our four Olympic preview episodes, 2006 Olympic silver medalist and current NBC analyst Tanith White joins host Jackie Wong to help break down the ice dance competition at the 2018 Olympic Winter Games in PyeongChang, South Korea. In the second of our four Olympic preview episodes, three-time U.S. champion and current icenetwork analyst Michael Weiss joins host Jackie Wong to help break down the men's competition at the 2018 Olympic Winter Games in PyeongChang, South Korea. In the first of our four Olympic preview episodes, 2007 U.S. champion and current icenetwork commentator Brooke Castile joins host Jackie Wong to help break down the pairs competition at the 2018 Olympic Winter Games in PyeongChang, South Korea. U.S. senior competitor Angela Wang tells host Jackie Wong how she came to favor the flip over the lutz and what it was like getting a program choreographed by ice dancers Tanith Belbin White and Charlie White. Then, two-time Olympian Mirai Nagasu joins the podcast to talk about how much it would mean to her to get to compete in the team event in PyeongChang, the feeling she had at the end of her free skate at the 2018 U.S. Championships and how going to her second Olympic Games feels different than her first. Former world and European ice dance champions Anna Cappellini and Luca Lanotte of Italy joined the podcast to talk about the significance of their programs this season, what their goals are for the upcoming Olympic Games and how much they are looking forward to competing at the world championships in Milan. Then, we have an interview with newly crowned U.S. champion Bradie Tennell, who delves into her love of super heroes and what makes her such a reliable competitor. Nick McCarvel and Jackie Wong look back at the 2018 U.S. Figure Skating Championships, picking out the best performances -- and biggest disappointments -- from the week, as well as how the results of the competition impacted the selection of the U.S. Olympic team. Then, two-time reigning U.S. champion Nathan Chen joins the podcast to talk about defending his national title in San Jose and what lies ahead for him between now and PyeongChang. Jackie Wong of RockerSkating.com, and Olympic gold medalist and icenetwork commentator Charlie White join host Nick McCarvel to preview the senior competition at the 2018 U.S. Figure Skating Championships. They also predict which skaters will earn Olympic berths at the event in San Jose this week. To coincide with the release of the film 'I, Tonya,' we talked to two people with intimate knowledge of the Tonya Harding-Nancy Kerrigan affair: Paul Wylie, a contemporary of Harding and Kerrigan who also worked as a radio commentator at the 1994 Olympic Winter Games, and journalist Christine Brennan, who covered the two skaters throughout their careers. Jackie Wong of RockerSkating.com and icenetwork reporter Lynn Rutherford join host Nick McCarvel for a roundtable discussion on current events in the world of figure skating. The three of them dissect the results from the Grand Prix Final and look ahead to this week's Japanese and Russian nationals, and talk about the impact those competitions will have on the Olympic selection process. Michelle Kwan visited with host Jackie Wong at icenetwork studios for a lengthy interview, during which the five-time world champion talked about her storied career, her work with the Special Olympics and her recent return to the ice. Also, journalist Philip Hersh joined the podcast to share his thoughts on the IOC's recent decision to ban Russia from the 2018 Olympic Winter Games.